At The Hawkins Law Firm, with offices in Albertville and Guntersville Alabama, we have found that early estate planning allows us to assist you best with your specific estate planning needs. We provide guidance in determining the legal documents that are necessary to achieve your goals and develop those documents according to an overall strategy for a comprehensive estate plan. For some, simple wills combined with powers of attorney and medical directives will suffice. In other cases, testamentary trusts, revocable trusts or other more specialized trusts should be considered, depending on your specific needs. Your estate plan should also be reviewed and possibly revised periodically to addresses life changes such as marriages, births, divorces, deaths, inheritance, changes in business ownership and retirement. If a person dies without a will, or “intestate,” state law will control how the deceased person’s estate will be divided and distributed. The court will appoint an administrator to manage your estate during the probate process; this administrator may or may not be someone you know. If you create a will, you name the person that you wish to have manage your estate. Revocable living trusts are popular alternatives to wills in that a trust can avoid the need for a probate administration of your assets. See our page on revocable living trusts for further information regarding the advantages of a trust. Trusts require additional initial time and expense over the preparation of a simple will. It is important to ensure that title to your assets has been properly transferred to your trust in order to avoid probate. If an asset is not transferred into the trust, a probate proceeding may be required. As a precaution, we prepare a “Pour-Over” Will which is designed to ensure that any assets not included in the trust will be distributed in accordance with the terms of the trust. We also assist our clients in funding their trusts, including preparing deeds and other documents necessary to transfer title to their interests in real property into the trust, and assisting with the transfer of the client’s other assets as necessary. Some assets, such as life insurance policies and retirement benefit accounts, are contractual in nature and controlled by beneficiary designations; we carefully coordinate beneficiary designations to make certain that our client’s objectives are met. Trustees are fiduciaries and therefore have legal duties and obligations they are required to meet. Some of these duties and obligations are mandated by the terms of the trust document itself, and others are required under Alabama laws governing trusts. 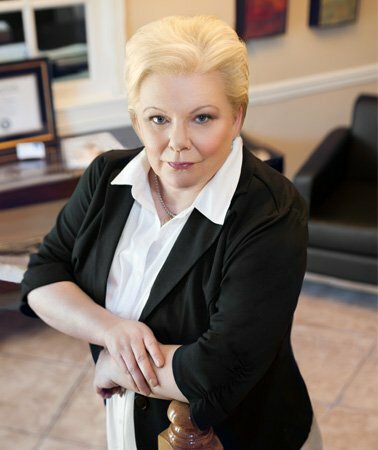 It is highly advisable to seek the advice of an experienced Alabama trust administration attorney, as this is a complex area of law requiring a thorough understanding of the tax issues arising during the course of trust administration. If your estate includes an ownership interest in a business, you should include business succession planning as part of your estate planning process. Among the issues to be addressed are ownership and operation of the business and how the transfer of ownership and operation will be accomplished. Combining business succession planning with personal estate planning results in a comprehensive strategy for asset transfer and tax minimization. We welcome the opportunity to serve your estate planning, probate, and trust administration needs. Contact The Hawkins Law Firm to schedule a consultation with an experienced trust and estate attorney.